MIAMI, June 23, 2017 — Developer Nicolas Brocherie of The Olivine Group announced today that Irene Dakota has been named exclusive listing agent for Station 61, a new 9,312-square-foot small bay warehouse redevelopment project in Miami’s emerging Magic City innovation district. 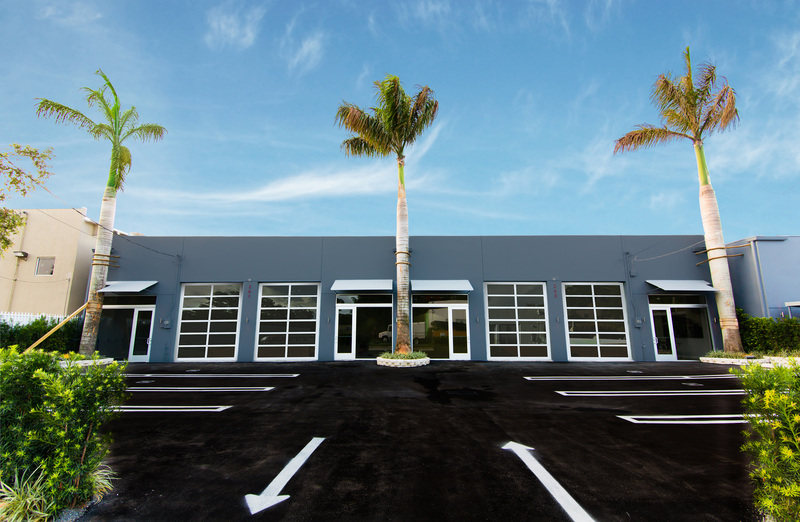 Located at 261 and 263 NE 61st Street, Station 61 comprises two former 4,656-square-foot industrial bays fully renovated to accommodate a variety of modern boutique uses including showroom, office, gallery and high-end warehouse. Station 61 is being offered for sale at $3,957,600 for both units or $1,978,800 per bay. Both spaces at Station 61 have been redesigned from the ground up by Miami-based Skin Architecture Group, LLC and now feature glass storefronts; glass garage doors; steel features; exposed piping; 17-foot ceilings; 16 on-site parking spaces; 26 skylights per bay; concrete floors; fully-equipped designer kitchens with quartz countertops and modern cabinetry; and lavish handicap-accessible bathrooms with white marble floors, bamboo travertine walls and a shower. Station 61 is centered in the recently announced Magic City redevelopment project, a 15-acre mixed-use development which will revitalize Miami’s historic Lemon City neighborhood. The property enjoys approximately 100 feet of prime frontage on 61st Street and excellent access to both Interstate 95 and Biscayne Boulevard. Station 61 is just minutes from Miami’s famed Design District, Wynwood Arts District, Midtown and Miami Beach. Brocherie has a long track record of successfully repositioning assets in the Miami market. In 2015, Brocherie sold ±7,000 square feet of renovated retail and office space at Quantum on the Bay for a 500 percent gain. He also brought to market 350 Meridian, a luxury Miami Beach condominium project which commanded prices in excess of $1,000 per square foot, the first boutique asset in South of Fifth to achieve high-rise pricing. Brocherie has received further acclaim for his high-end residential developments. On June 7, Brocherie achieved record new construction, dry lot pricing of $1,150 per square foot for the $3.4 million sale of 1515 West 21st Street on Miami’s Sunset Islands. Dakota will host an exclusive broker open house at the property on Thursday, June 29 from 5:30 pm to 8:00 pm. For more information please contact her at +1 305 972 8860 or irene@theolivinegroup.com.